power 25,7PS (18,9KW) at 9000U/min. 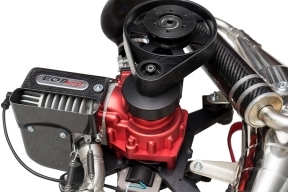 In comparison to the competition in the same or similar class of displacement the engine is very light, built small, nicely and compact with the use of only highest quality materials. 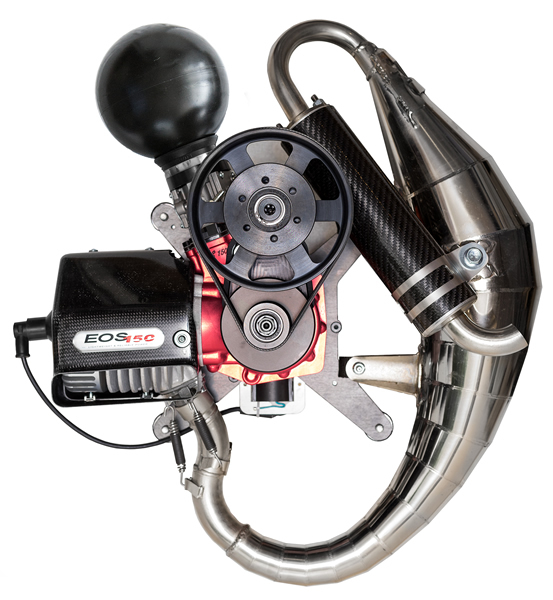 Well manufactured in all details by the use of most modern techniques with a smart constellation of components which are perfectly working together. 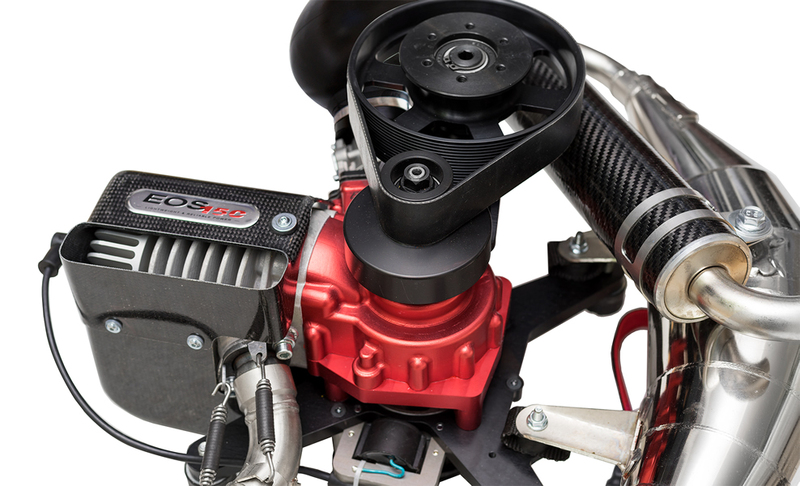 The engine is easy to start up, with a smooth and constant run at idle. 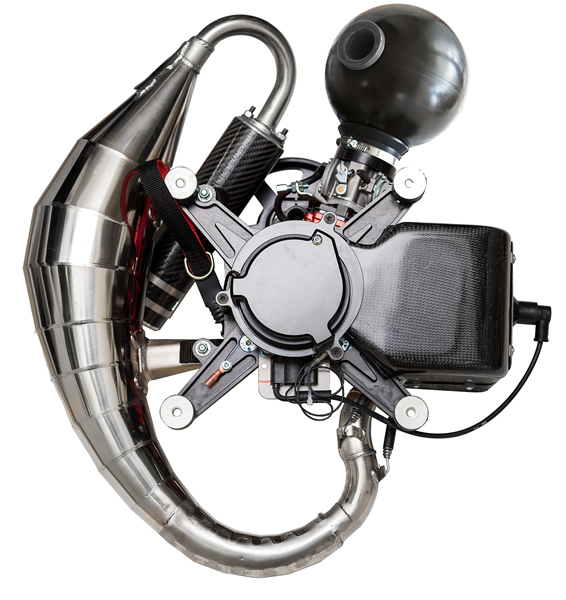 The carburetor with adjustable L and H jets together with the unique HIFLOW-SHOT air box care for an even run in all revolutions and can be customized for different locations of operation. 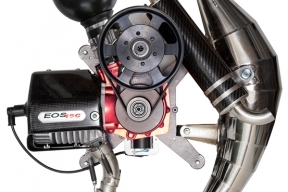 Perfectly balanced crankshaft, fly wheel and shafts care for a low vibration. 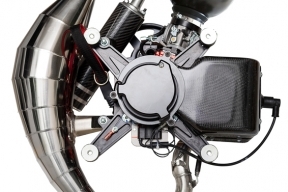 The fan cooling prevents the engine against overheating and allows long duration runs at full power. 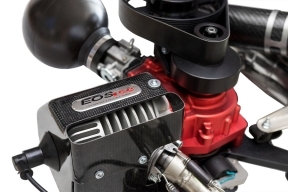 Despite the small size and comparable low weight, the moderate compression ratio for a durable and long life span, the engine creates an optimum thrust and a lot of power. 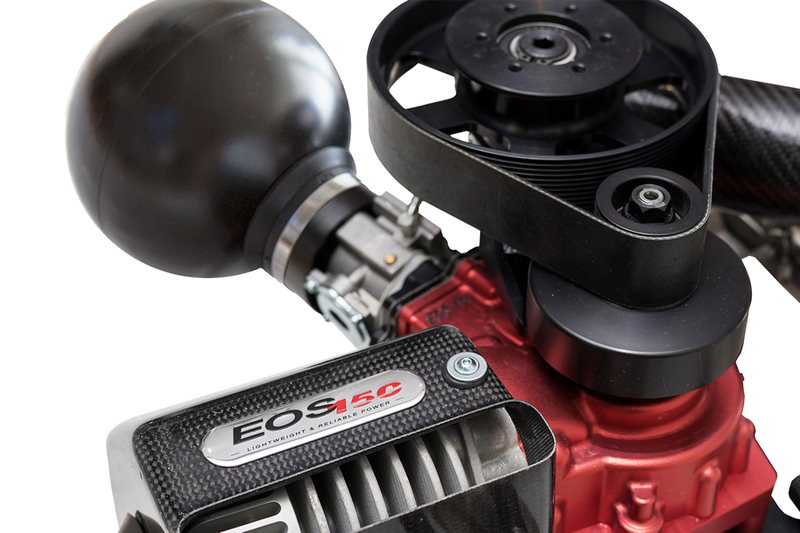 Equipped with the ICI ignition system such as the EOS 100 Booster ICI.